A media phenomenon, Coast to Coast AM deals with UFOs, strange occurrences, life after death, and other unexplained (and often inexplicable) phenomena. Coast to Coast AM is overnight talk radio with daytime ratings. 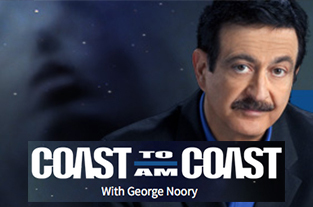 George Noory, host of the nationally syndicated program, Coast to Coast AM, says if he weren’t a national radio talk show host he’d be in politics. 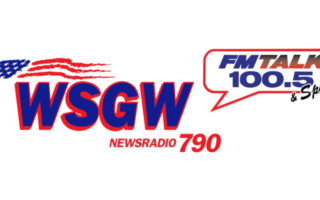 Heard by millions of listeners, Coast To Coast AM airs on approximately 564 stations in the U.S., Canada, Mexico and Guam. While hosting The Nighthawk, a wildly successful, late-night program on KTRS in St. Louis, Noory was recruited by Premiere Radio Networks to guest host on Coast to Coast AM with Art Bell. He became the permanent host of the phenomenally successful over-night program on January 1, 2003, following Bell’s retirement. Since then, Noory’s audience has continued to grow. Noory captivates program listeners with his discussions of paranormal phenomena, time travel, alien abductions, conspiracies and all things curious and unexplained. He is driven, he has said, by the desire to solve the great mysteries of our time. From his first days as a radio broadcaster he says, “I’ve wanted to cover stories that the mainstream media never touch—the unusual, the paranormal and things like that. I learned that broadcast was the best business for exploring these issues, and I’ve been doing it for 33 years.” He dates his interest in these matters to a book by Walter Sullivan, We Are Not Alone, that his mother gave him when he was 13. He was hooked. Prior to his late-night show on KTRS, Noory had an extensive broadcast career. He started in radio at WCAR-AM in Detroit where his first-ever interview was with nuclear physicist and UFO expert Stanton Friedman. From 1974-1978, he served as news producer and executive news producer at WJBK-TV. At age 28, he became the youngest major market news director in the country at KMSP-TV in Minneapolis. Noory was also the director of news planning and development at KSTP-TV in Minneapolis, was news director at KSDK-TV in St. Louis and the recipient of three Emmy Awards while a news executive. Noory released his first book in 2006. "Worker In The Light: Unlock Your Five Senses And Liberate Your Limitless Potential," co-written by best-selling author William J. Birnes, is Noory’s revolutionary guide to spiritual enlightenment, human empowerment, ultimate productivity and absolute happiness. Noory and Birnes co-authored a follow up in 2009 entitled Journey to the Light, in which they present amazing first-hand accounts of how ordinary people changed their own lives, transcended their doubts and fears, and unlocked the secrets to their spiritual growth. In October 2011, Noory released his third book, Talking To The Dead. Co-written by Rosemary Ellen Guiley, a leading expert on the paranormal and supernatural, the book explores the colorful history and personalities behind spirit communications, weaving together spirituality, metaphysics, science and technology. Noory, along with Richard Belzer and David Wayne, released "Someone is Hiding Something: What Happened to Malaysia Airlines Flight 370?" in February 2015. Scrutinizing the theories the media and politicians claim are the "most likely" reasons the plane crashed, they argue that if a year after a huge Boeing 777 has gone missing, and there’s still no sign of it whatsoever, it’s time to think outside the box. In December 2012, GAIAM TV launched "Beyond Belief with George Noory," a new TV show exploring the unknown and mysteries of the universe. The one-hour, weekly series features Noory’s informative, investigative and dynamic conversations, as well as some of his favorite guests from the radio program. Taped at GAIAM studios in Boulder, Colo., Beyond Belief with George Noory is available exclusively at beyondbelief.com. 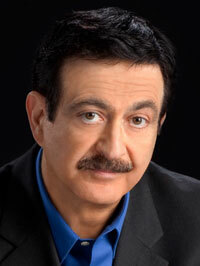 Noory has also appeared on the History Channel's Ancient Aliens, SYFY, The Larry King Show and numerous others. He was born, raised and educated in Detroit. He has three children and six grandchildren. He served nine years in the U.S. Naval Reserve.